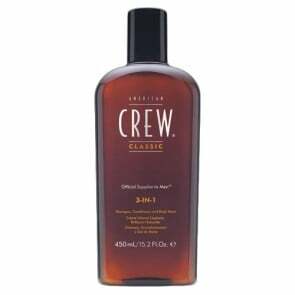 American Crew is truly a landmark in modern history of men's grooming. This grand producer has been a leading hair product manufacturer in men's grooming world. All over the USA, Europe and Australia, men and their stylists rely on this incredibly successful brand for the latest and best in hair, body, shave and style products. And for more than twenty years, American Crew has delivered. Committed and passionate about what we do, American Crew products are faithfully distributed in Australia for the lowest price possible by HairBodySkin.com.au. 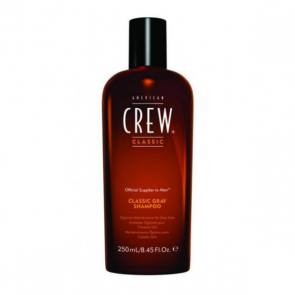 American Crew Hair is a leading provider of men’s hair and grooming products. With a commitment to providing high quality men’s hair products, American Crew Hair aims to bring men into the hair salon. We offer a range of ways to incorporate style into your daily life, with products such as American Crew Fiber, Forming Cream and much more. For men’s hair and grooming products, you can’t go past American Crew. American Crew's best seller, Fiber is a hair product developed especially for men. American Crew Fiber provides a pliable hold, giving hair a natural, clean finish with low shine. 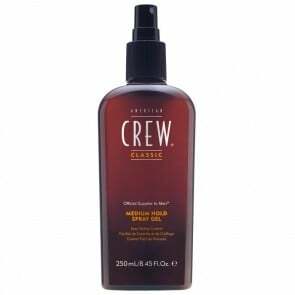 Use American Crew Fiber to mold and sculpt hair into any style. This resinous product helps thicken hair, adding fullness and texture. It is excellent for both curly and straight hair. American Crew American Crew leads the way in men's grooming with a passionate commitment to giving men the tools that they need to create salon looks at home in their everyday lives. American Crew is more than just a brand, but is an embodiment of a lifestyle and is symbolic of modern man – a figure who is not afraid to experiment and who looks after himself. This expert and innovative range from American Crew gives men the necessary tools for transforming lifeless hair into a work of art. For expert results from every shave, American Crew is the hands-down winner. Providing you with delicately formulated products that have a decadent feel to them, you can indulge your skin from start to finish with American Crew. American Crew offers you a range of high end personal grooming products for the discerning man. Each is designed to address your lifestyle needs and your hair's unique requirements. This classic company also offers groundbreaking products that can help you achieve a look that will never be less than stylish. Each product in American Crew's line is formulated specifically for the discerning man, whether it is a daily use shampoo or a system that is designed to revitalize your hair. These products are crafted using natural botanicals and extracts that will sooth away your stress while allowing you the ability to manage your life and your look with simplicity and ease. We're all about Hair, Body and Skin!